Successful runners turn to cross-training to help combat boredom or to give that nagging foot injury a break. But even healthy, avid runners can use some cross-training in their life. Why? Cross-training helps lead to a better, injury-free performance come race day. A University of Tennessee at Knoxville study found that training effect on VO2max (V02max is the maximum capacity a person's body to transport and use oxygen during exercise) transfers between cycling, running and swimming. In other words, whether you swim, bike or run, you're still training your body to use oxygen in a similarly effective way. So there's nothing to lose by mixing it up a bit. Start by adding one or two cross-training activities into your weekly workout schedule. You'll likely feel fresher and faster on your runs. If you are injured, be sure to vary your cross-training to avoid feeling apathy about your weekly routine. The following are some of the best cross-training activities for runners. Cycling, like running, is largely dependent on the major muscles in the legs. It's also a great workout for the cardiovascular system, which will pay off when you're pounding the pavement. While some runners cringe at the mention of a pool, it is one of the best non-weight bearing cross-training activities for runners. It'll get your heart rate up while offering a total body workout. It's harder than it looks. Plus, there's the added benefit of keeping off your feet for a while. Other than aqua jogging, this activity mimics running better than any other. Be sure to put on enough resistance to get yourself sweating and your heart rate elevated. 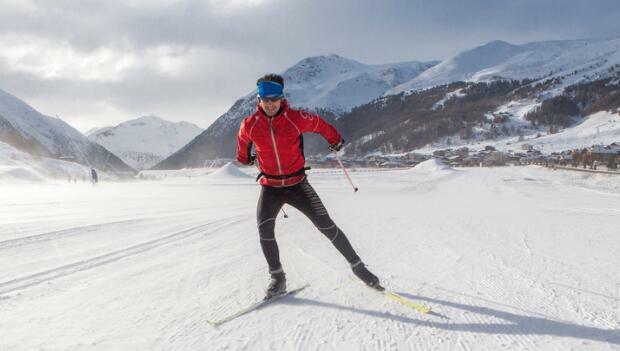 Elite Nordic skiers have some of the highest VO2 max capacity in the athletic community. If you're in striking distance of a cross-country ski hill, make this activity a priority. It offers runners who live in colder climates a chance to train outdoors in the winter and it takes a load off your joints.